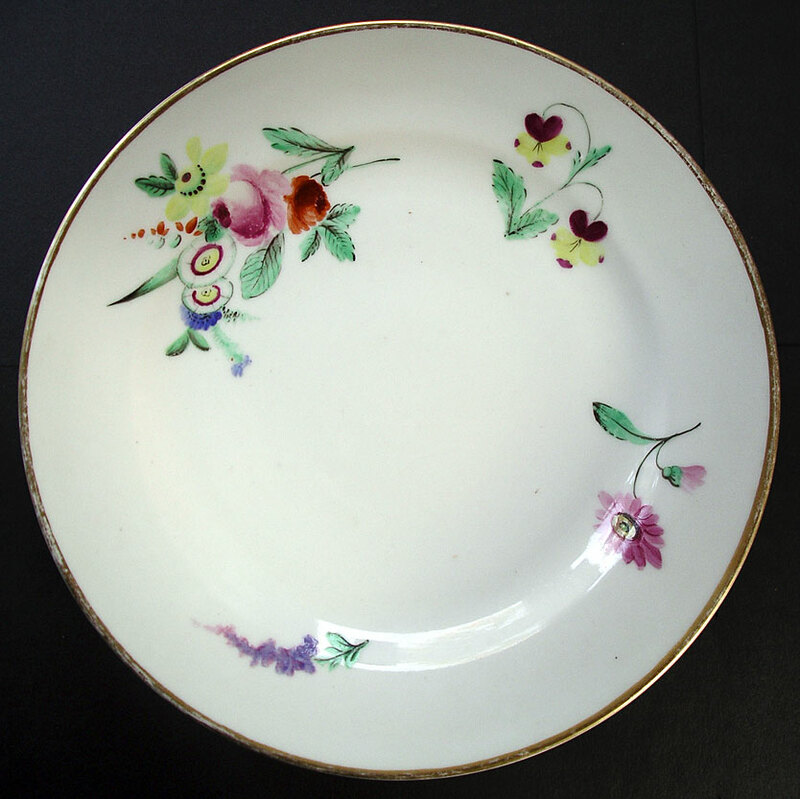 "A rare and attractive hand painted Swansea porcelain plate with gilt edge line circa 1817. It is a delight, painted with a main colourful floral group and three smaller complimentary flower sprays. 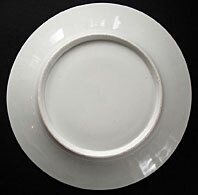 A super piece and a great example of a rare Swansea plate for your BEST china cabinet display. This piece has been attributed to the hand of Henry Morris: the work of one of a talented and highly collectable group of Swansea ceramic artists on finest Welsh porcelain. There are some other great names to collect like David Evans, Thomas Baxter, William Pollard and William Billingsley a.k.a. William Beeley." Antiques Expert Hamilton Bear. References: For further examples of the work of Henry Pollard on Swansea porcelain see Swansea Porcelain Shapes and Decoration, A.E. Jones and Sir Leslie Joseph, plates 1-5 page 231. Dimensions: width 208 mm max., a fraction over 8 inches. Condition: In great display condition. Paintings are good as illustrated. Condition report: No chips, cracks, hairlines, restoration, or significant defects. A few very minor surface scratches to glaze visible under bright angled light. Gilded line to the plate edge is generally good with some edge rubbing in places. "VIEW MORE GREAT ANTIQUES and ARTS BUYS NOW!" Hamilton B.
UK GBP £ STERLING OR US $ DOLLAR PAYMENT. M.O./CHECKS US $ DOLLARS NO UK BANK FEES OR EXCHANGE CHARGES. PERSONAL CHECKS IN GBP ONLY - MUST CLEAR BEFORE SHIPPING. WE ACCEPT PAYPAL. CHECK OUT OUR TESTIMONIALS - GREAT SERVICE EVERY TIME - GUARANTEED. PAYMENT TERMS: DUE 7 DAYS AFTER SALE AGREED, 10 DAYS FOR OVERSEAS BUYERS - THANK YOU. CLICK ON "BUY NOW" PAYMENT BUTTON TO ACCESS SECURE SERVER (https) EASY PAYMENT PROCESSING BY PAYPAL - YOU DO NOT NEED A PAYPAL ACCOUNT TO PAY THIS WAY.